I confirm that I worked with Dana Carson, Broker Associate in the buying or selling of this property. - It's a pleasure to leave a comment about our buying experience with such a professional realtor like Dana. First of all, we want to thank you for your understanding, openness and kindness in the buying process of our home. This has been a big project understanding that we do not buy a house frequently, this means our dream for us. The most important piece is that you truly understand how valuable was this process and made our experience very unique. You were very open about our options and your knowledge about the market, processes and communications skills helped us to get the better option. You instrumentally guided us through the process for this to be a good buy in reasonable terms. In other words we are extremely happy with the service you provided. 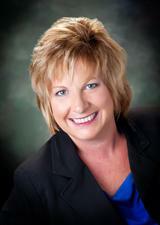 - I have worked with Dana for many years and can tell you she has incredible knowledge of the real estate market. Rather than SELL you a house she takes the time and asks the right questions to FIND you a HOME! If you want a great experience I highly recommend you work with Dana! !